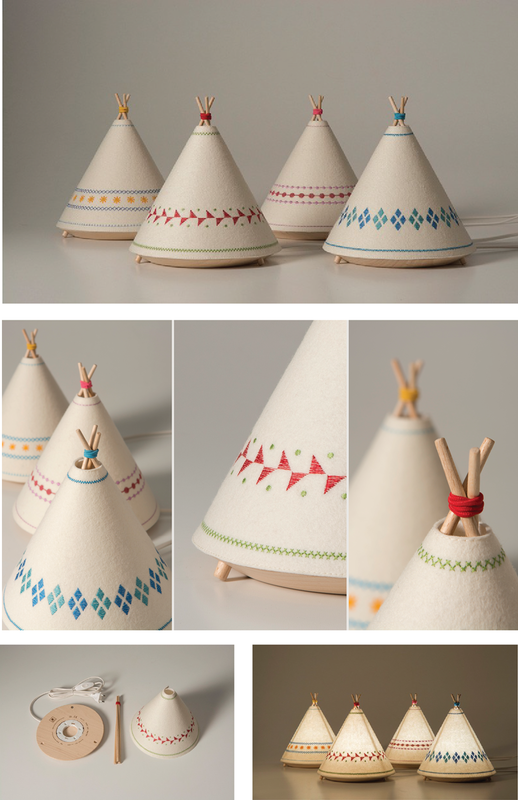 We love this TIPI lamp created by Valencia-based product designer, Javier Herrero, for Spanish online shop, Buokids. The table lamps are made from natural materials, beech wood and wool felt. The soft ecru felt is embroidered with simplified and updated graphics inspired by Native American motifs giving the lamp a handcrafted quality. Images: Courtesy of Javier Herrero Studio.